Grand Canyon & More Tours features tours from some of the largest and most reputable Grand Canyon sightseeing tour companies in the Southwestern United States and the tour companies passenger volumes result in often discounted prices on your Grand Canyon sightseeing tours. All tours featured on this website provide great value for your money. However, all Papillon tours guarantee that you will get the lowest internet published rate for the tour that you selected. Should you find a better rate on the internet for the same tour, date, and equipment contact Papillon directly and they will match that rate, and then beat it! Please click here for complete details and contact information. Discounts on Grand Canyon Off Road and Pink Jeep Tours! Discount Grand Canyon and Las Vegas Helicopter Tours! 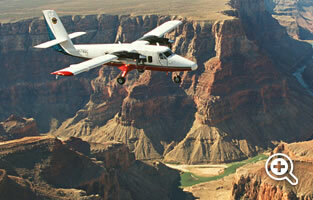 Special Offers and Discounts on Papillon Grand Canyon Tours! MORE Discount Tours at Affordable Prices! Get coupon free discounts on many of the cheapest and most affordable tour prices! Grand Canyon & More Tours features some of the best Grand Canyon, Hoover Dam and Las Vegas tours from only the best tour operators... at their best possible tour prices, direct to you from the tour operators, no coupons needed! Book now to save on Grand Canyon, Hoover Dam and Las Vegas helicopter tours, airplane tours, bus tours, ATV tours, Pink Jeep tours and More! Book discounted tours and get up to $120 OFF! Click through and see the best tour prices available on the most popular sightseeing tours from the most experienced tour companies! Most all tours departing from Las Vegas and Boulder City include FREE roundtrip Las Vegas area hotel transfers. If you're driving to Arizona from Las Vegas, select Grand Canyon tours also depart conveniently from Grand Canyon Airport and Page Municipal Airport, Arizona as well. The Best Tours via Grand Canyon & More Tours! We only feature discounted tours from the largest and most reputable Grand Canyon sightseeing tour operators! Get the best tours at the best prices! Select from the best & most affordable sightseeing tours to Grand Canyon South Rim, West Rim, North Rim, Skywalk, Hualapai Ranch, Hoover Dam, Las Vegas, by Luxury Helicopter, Scenic Airplane, Motorcoach Bus, Pink Jeep SUV, River Raft, NEW Grand Canyon cattle ranch tours to the Bar 10 Ranch including 4x4 with ATV option!